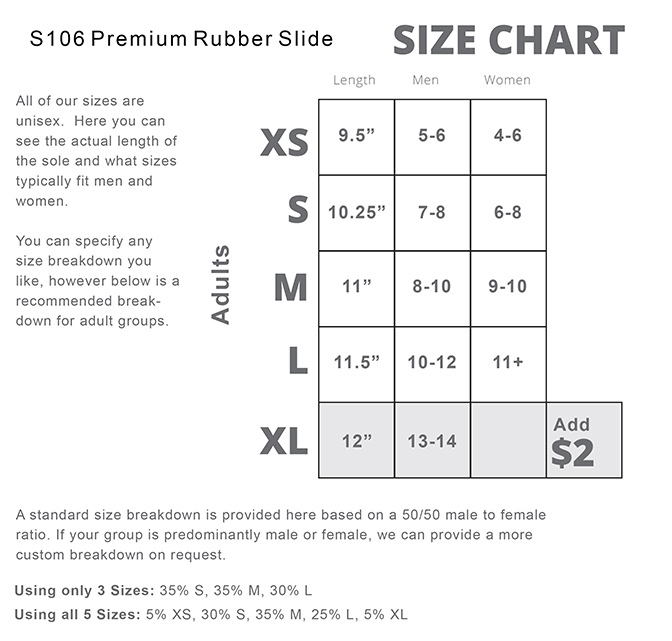 Our best selling Slide for fundraising. 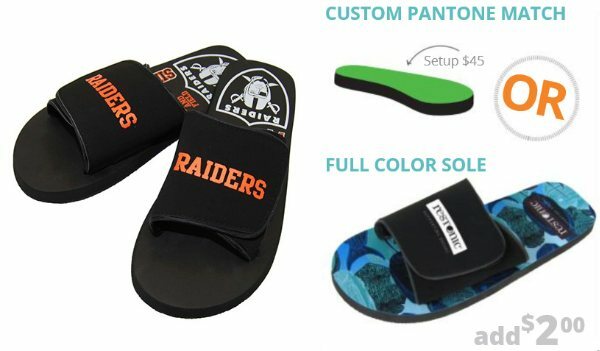 If tradition flip flops will not work for everyone the nour slide is a great alternative. Our Premium Rubber Slide features a 14mm rubber sole, topped with a thin layer of premium polyester for comfort and a long lasting imprint. 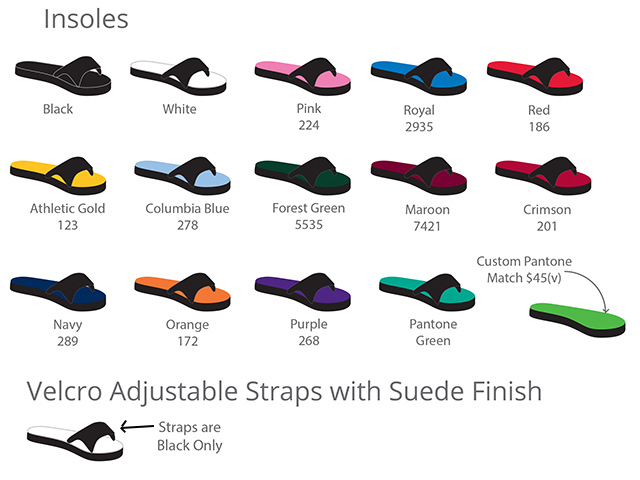 The Velcro-adjustable strap is finished in synthetic suede. Slip them on after a long day or tough game - they're great for indoors or out. Price Includes: Full color imprint on insole, including full bleed. Setup $45..
Strap Imprint: $45 Setup, plus run charge $0.70 per pair. Max 1-color, white imprint only. Imprint Area: 2" x 2.5" on Strap and full insole.